meant to last beyond a lifetime. Resurrecting this lost art is fulfilling and Beautiful. It is time consuming and contemplative work. brides and families to hand down from generation to generation. My childhood was quietly nurtured by England and its subtleties. At the tender age of three, my parents took me overseas to visit our family. 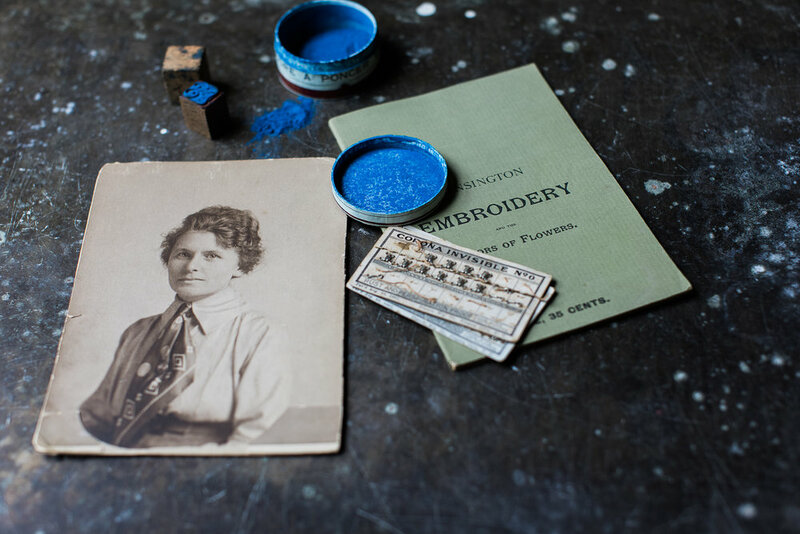 And what's more, the English photos, furniture and miscellaneous antiques of my great grandmother, Lizzie Frost, were in every room and on every wall of my life. 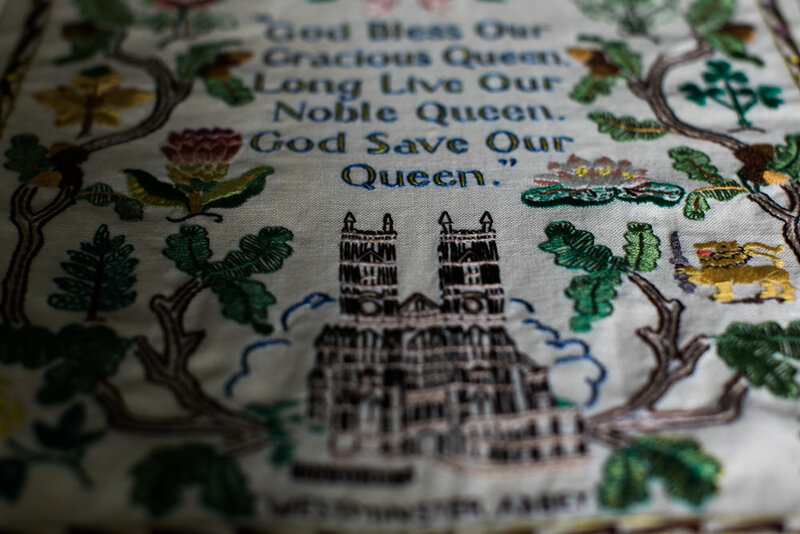 Lizzie was a European embroiderer. deep into the fabric of her intricate pieces. and her needlework notions were eventually elevated to a level of worship by my mother. and it hangs in my studio to remind me of how true stitches stand the test of time. During a period of antique fair bingeing, it became clear I couldn’t pull myself away from antique linens and heirloom embroidery. I studied my collection and marveled at the delicate luxury of what I now know to be the Lyonnaise style of handwork. Items with this style of embellishment were all the rage in the last half of the 19th century and well into the 20th. Sadly, the style and industry were replaced by machine. The only other place to get this work now is in third world countries. The more pieces I bought, the more I realized I had absorbed the family tastes & legacies. Embracing it felt so honest. And as I began to research my genealogy, I also learned that a census from 1851 lists my great grandfather as a tailor and his wife as a spinner. So not only is the needle in my legacy, so is the linen. Needlework came naturally to me and eventually became my leisure. And as my skills grew closer to the level that my grandmother attained, others took notice. And now, I proudly accept her legacy and stitch away; putting my own story into the fabric of others' lives. I now take on select commissions from clients who love and appreciate this style of work. of the value found in family.